You are here: Home / Avoiding Losing Money on Your Personal Injury Claim / Can insurers change their mind about settling your claim (if liability is admitted)? Some say The Blue Nile are the greatest ever Scottish band. Though they only ever released 4 albums – between 1984 and 2004 – they maintained a consistently high standard throughout. Their music has a spare, cinematic quality which blends perfectly with Paul Buchanan’s soulful and world-weary voice. The Blue Nile’s 1989 release, Hats, has topped some polls to find the best Scottish album of all time. I listened to that album a lot when it came out – I was a student then – and I still listen to it often even now. The fact is, they almost never got a recording contract at all and took an unusual route to achieve that end. Around 1983, a top-of-the-range Glasgow-based hi-fi company called Linn Products found that their equipment’s sales prospects were boosted if they used music from the band’s demo tape when demonstrating Linn’s music systems to potential customers. When Linn discovered The Blue Nile were unsigned, they decided they would sort them with a record deal by setting up their own record label. The band’s debut album – A Walk Across The Rooftops (featured in this BBC Radio Scotland “Classic Scottish Albums” podcast) – was Linn Records’ first ever release. For The Blue Nile, a change of mind and of direction by Linn proved to be a big benefit for the band’s future. Of course, a change of heart is not always a positive thing. In the context of a personal injury claim, if the insurers admit liability but later refuse to deal with your claim after all, that change of mind could be a big problem. 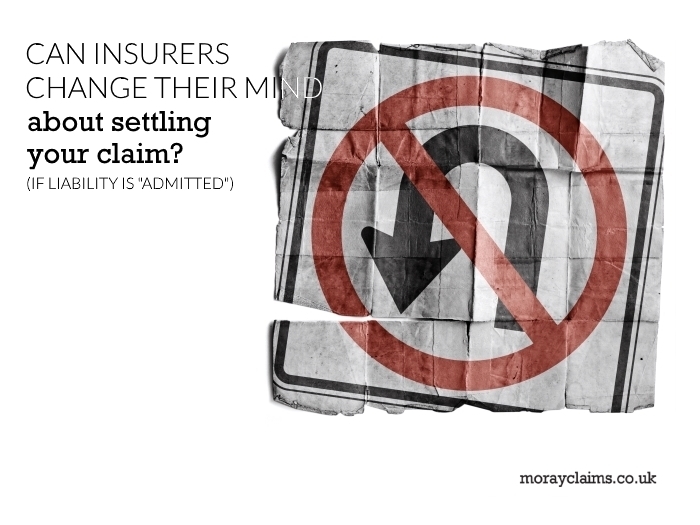 Can insurers change their mind about setting your claim? Say you’ve reached the stage in your personal injury claim where the insurers have agreed to deal with it. They accept that whoever they insure was negligent and/or breached their duty to you and caused you to be injured. On the face of it, the insurers will pay compensation to you once it’s possible to put a value on your claim. Can the insurers change their mind and, if so, when might they do that? In this article, we will consider three possible situations where insurers might be allowed to think twice about settling your claim. Injuries not caused by an accident. 1. Getting a binding admission of liability. At the negotiation stage of personal injury claims, it used to be unusual to get an admission of liability from an insurer which tied them to that position if the case later had to go to court. Insurers were generally not bound by such admissions, anyway. In the Scottish case of Van Klaveren, from 2008, an Aberdeen airport baggage handler raised an action for personal injury compensation. He alleged that a previous written admission of liability was binding on his employers’ insurers. The first judge to hear the case decided that the insurers were bound by this admission of liability – which meant that the only remaining live issue was the valuation of the claim. But, on appeal, the decision went in favour of the insurers. The appeal judges said that the letter amounted to a “mere extra-judicial admission” which could be withdrawn even after a court action was raised, up to a certain point in the court procedure. It could be said that admissions of liability did not provide much reassurance for claimants under that system. The position has improved for claimants following the introduction of the Scottish Compulsory Pre-Action Protocol (CPAP). The (likely) total liability value of the claim must not exceed £25,000. The claimant must have a solicitor. The claim must not be one of the following “more complicated” types of claim: a clinical negligence claim; a professional negligence claim; or a disease claim. Under CPAP, the claimant can ask whether an admission of liability is binding. If the insurer refuses to commit, the claimant can raise a court action. It means that it is important to ask the question of the insurer. They may say they admit liability but have they agreed it is a binding admission of liability? If the insurer does agree to be bound by the admission of liability, does that mean a successful outcome for the personal injury claim, in all circumstances? Not quite. (This is where we get to points 2. and 3. mentioned above). If the claim is subsequently proved to be fraudulent, the admission is not binding (CPAP, Rule 17). When would a claim be regarded as “fraudulent”? If your accident never happened and you just invented it for the purpose of making a compensation claim, that would be fraudulent behaviour. In practice, as we have discussed elsewhere, if you allow any element of untruth or exaggeration to creep into your claim, that will probably damage your claim irrespective of whether liability is bindingly admitted or not. If your believability (credibility) in relation to one part of your claim is reduced, it may affect other aspects of the claim too. This is just to highlight that an admission of liability is not an admission that the negligence or breach of duty necessarily caused the injuries you are complaining of (or all of them). While it does not happen so often with road accidents or accidents at work, sometimes you cannot show that the breach of duty actually caused the injuries in question. To take an example we have discussed elsewhere in relation to medical negligence, if you get a negligent overdose of penicillin while undergoing treatment for meningitis and recover but lose your hearing, that’s probably a known side-effect of meningitis. It’s not a known side-effect of too much penicillin. In other words, a binding admission of liability won’t help you if the injuries cannot be proved to be the result of the negligence or breach of duty. They got lucky through someone else’s change of direction. Our hope is that you don’t ever find yourself facing a negative change of direction from an insurer who wants somehow to wriggle out of settling a personal injury claim. 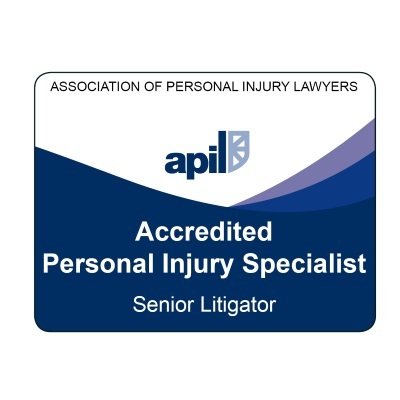 Should you ever need to make a personal injury compensation claim – as we’ve discussed – you need to be aware of the need not just to get an admission of liability but a binding admission of liability. Even then, that will not give you a secure route to compensation in all circumstances. But invention or exaggeration of claims should be rare and causation is not usually a problem outside the realms of medical negligence. A binding admission will be enough in most cases – which is why it is so important to get one, if you can. In this article, we examined this question: Can insurers change their mind about settling your claim, if they have apparently accepted responsibility for it during negotiations? We hope you now understand a bit better the issues which matter in that context: why a binding admission of liability is so important. 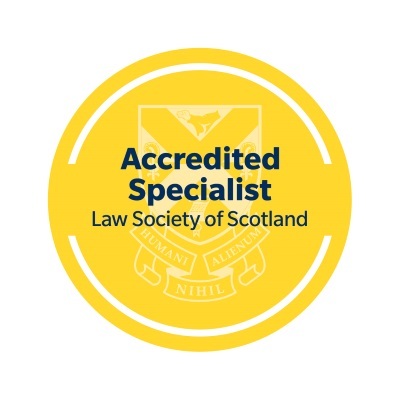 Please get in touch with us if you have any questions about the matters discussed in this article or about any aspect of our personal injury claims services. 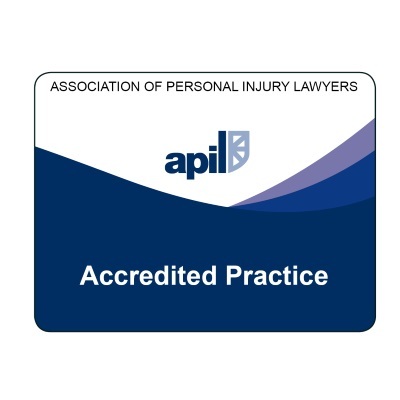 You can call our accredited specialist personal injury solicitors on 01343 544077 or send us a Free Online Enquiry. If we can have a free initial discussion with you, we would hope to be able to deal with your questions as fully as possible – whether that’s the cue for us taking you on as a client or not.